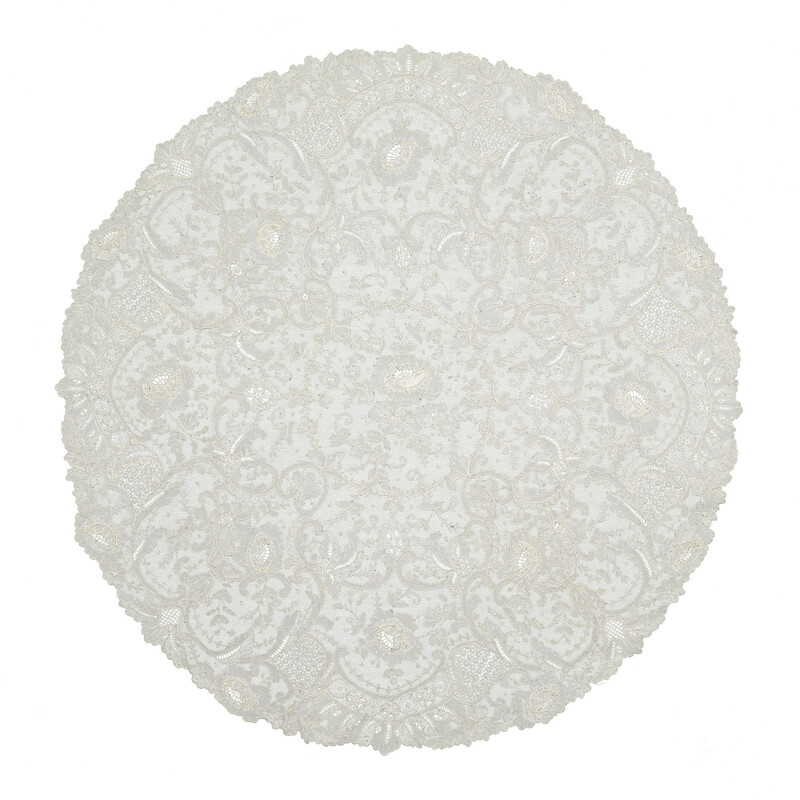 Round table mat of point de gaze needle lace, w design of large flower heads & delicate sprays. Edge formed by line of linked leaves & flowers w stylised vases of flowers. Flower heads with 3D petals. In large red presentation box. Lace was first produced in Brussels in the fifteenth century. The first known piece of Brussels lace in England was presented to the future Queen Mary I as a New Year's gift in 1543; over four centuries later this example was presented to the present day Queen.